Tune in this Sunday, January 22nd from 2:00 PM - 7:00 PM EST to Jazz Profiles for a profile of pianist/composer Geri Allen. Allen-a pianist/composer, bandleader, educator and Guggenheim Fellow-is the first recipient of the Soul Train, Lady of Soul Award for Jazz. 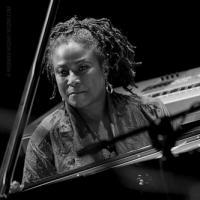 In 2011, Geri Allen was nominated for an NAACP Award for her Timeline, Tap Quartet Project. Allen is the first woman, and youngest person to receive the Danish Jazz Par Prize. She is a cutting edge performing artist, and continues to concertize internationally. She is a product of the Detroit Public School System, Howard University and the University of Pittsburgh. Allen moved to NYC in 1982 after she completed her advanced degree in ethnomusicology from the University of Pittsburgh, and for the past thirty years has recorded, performed and collaborated with artists like Ornette Coleman, Ravi Coltrane, George Shirley, Dewey Redman, Jimmy Cobb, Sandra Turner-Barnes, Charles Lloyd, Marcus Belgrave, Betty Carter, Jason Moran, Lizz Wright, Marian McPartland, Roy Brooks, Vijay Iyer, Charlie Haden and Paul Motian, Laurie Anderson, Terri Lyne Carrington and Esperanza Spalding, Hal Wilner, Ron Carter, Tony Williams, Dianne Reeves, Joe Lovano, Dr. Billy Taylor, Carrie Mae Weems, Angelique Kidjo, Mary Wilson and the Supremes, S. Epatha Merkerson, Farah Jasmin Griffin, Howard University’s Afro-Blue and many others. Allen has enjoyed a very successful thirty-year performing career as a NYC jazz musician. She has now returned to Pittsburgh to continue her legacy as a cutting edge pianist/composer, recording/concertizing artist. Allen is just as passionate about her work with her undergrad and graduate students at the University of Pittsburgh, and she firmly believes that “meaningful access to music is one of the keys to success in any field, and music informs our sensitivity to others”. She is a fierce advocate for all children of all ages to have direct hands on access to music, and the creative and empowering process jazz inspires.